How do you market your company? Do you know how other businesses in your area market themselves? Take Jemully’s West Texas Small Business Survey and learn about the marketing practices of peer companies. 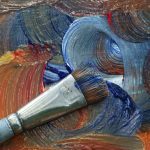 The purpose of this survey is to provide a snapshot of the marketing practices of small-to-medium sized businesses in West Texas. This survey will provide participants an opportunity to think critically about their own business, and a chance to measure themselves against fellow and neighboring businesses in West Texas. For the best possible results, please answer this survey honestly and accurately. We are happy to share the survey results. To receive a summary report and to open the door for direct feedback, please provide your email address when prompted within the survey. Email addresses collected from this survey will not be contacted for sales purposes, and no identifying information from this survey will be given out in any way. What Does Social Media Strategy Mean for Small Businesses? 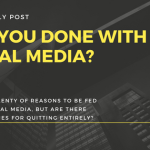 Are You Done With Social Media? 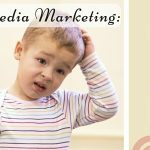 Social Media Marketing: Free Or Not Free?